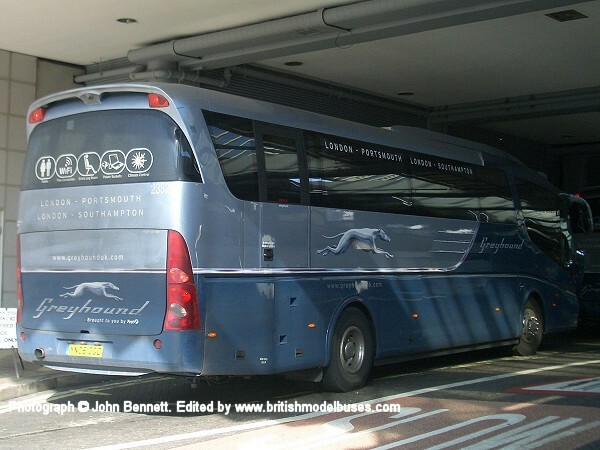 SCANIA IRIZAR - FIRST GREYHOUND "BILLIE JEAN"
This photograph was taken on Wednesday 25th May 2011 at Elizabeth Bridge, Victoria and shows fleet number 23320 (YN55PXL) which is named ‘Billie Jean’. 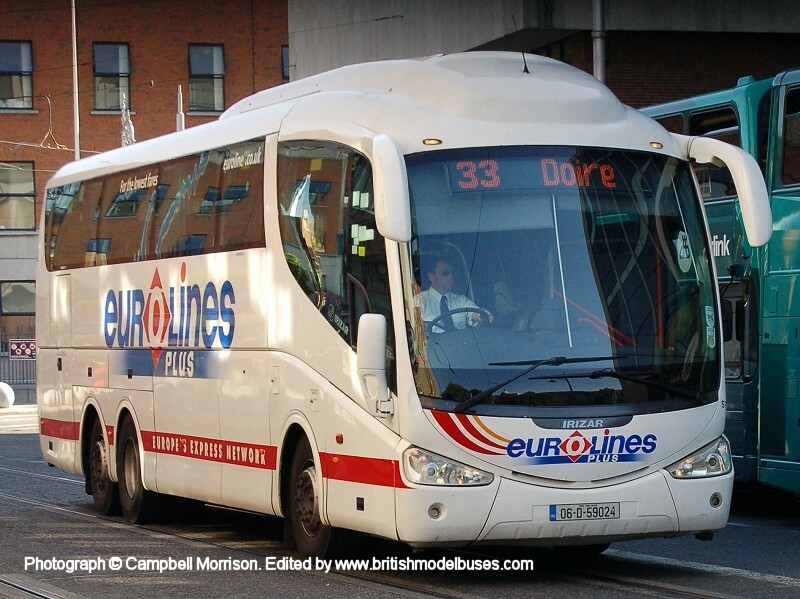 This photograph was taken on Tuesday 13th October 2009 at the Green Line Coach Station, Elizabeth Street, Victoria. 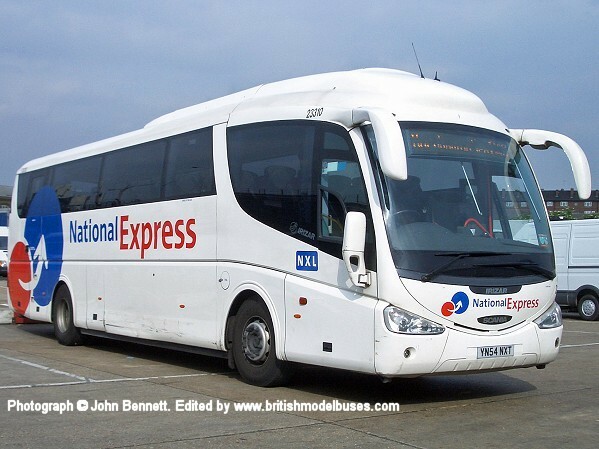 and shows fleet number 23325 (YN06CGZ) which is named 'Peggy Sue'. 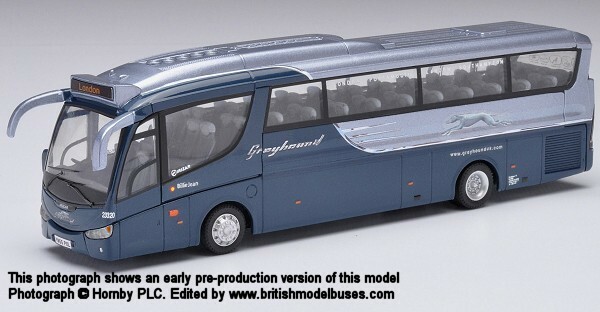 This is the actual vehicle as represented by Corgi OOC models OM46209A & OM46209B. 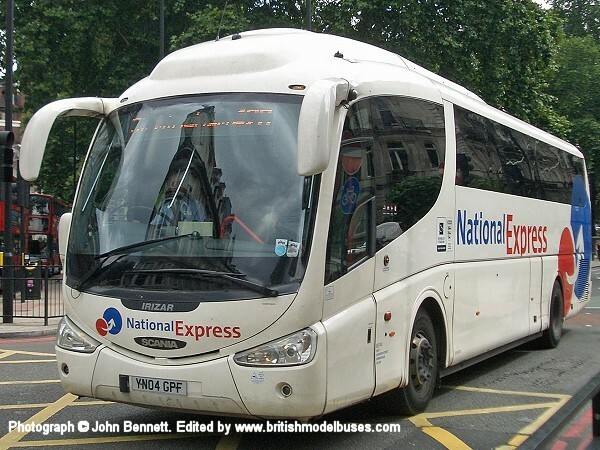 This photograph was taken at Victoria on Friday 11th July 2008 and shows fleet number NXL9 (YN04GPF). 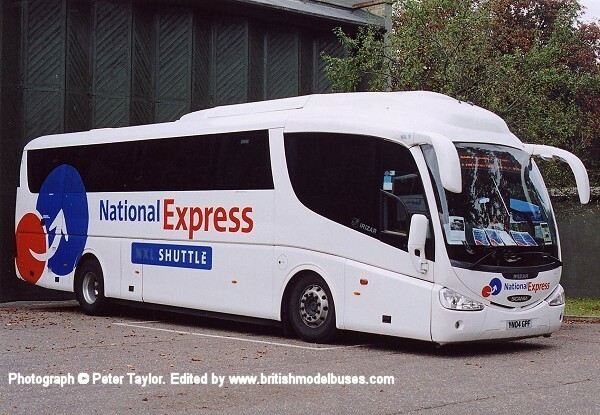 At the time the photograph was taken It had lost the 'NXL Shuttle' logo but gained some small Wembley Stadium and England logos in front of the fleet name on the side. 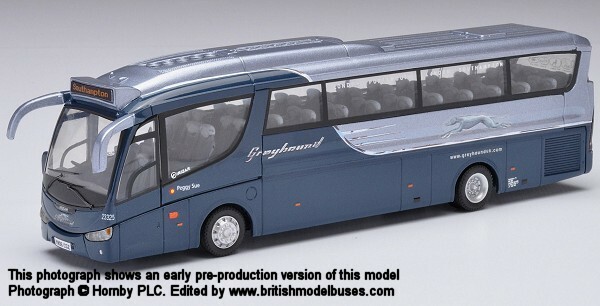 This is the actual coach modelled as represented by Corgi OOC model OM46201. 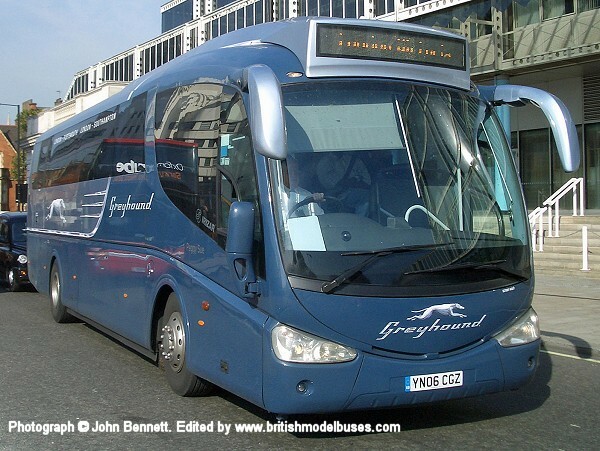 This photograph was taken at Showbus on Sunday 26th September 2004 and shows the offside view of the above. 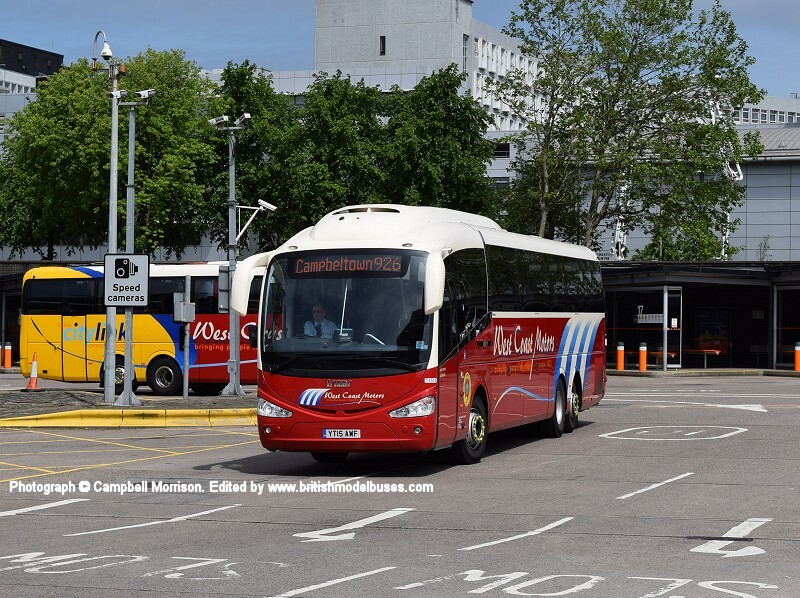 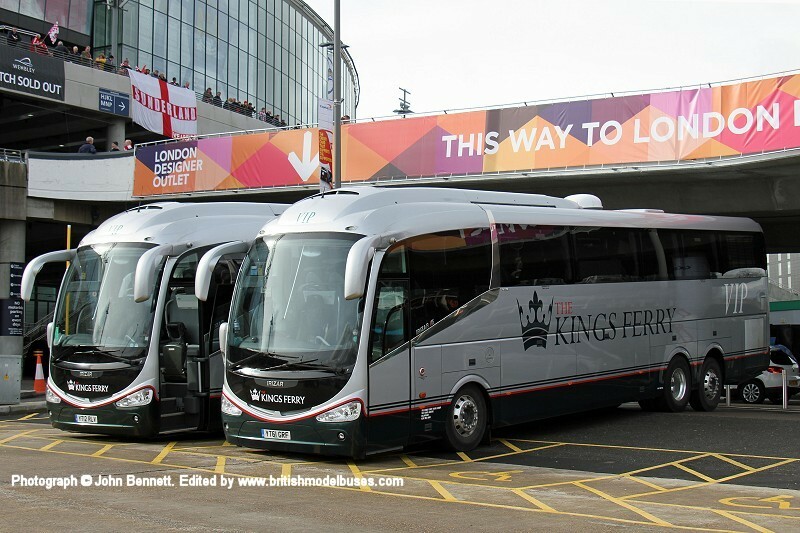 This photograph was taken at the coach park in Vauxhall on Friday 2nd June 2006 and shows from First Groups fleet, fleet number 23310 (YN54NXT). 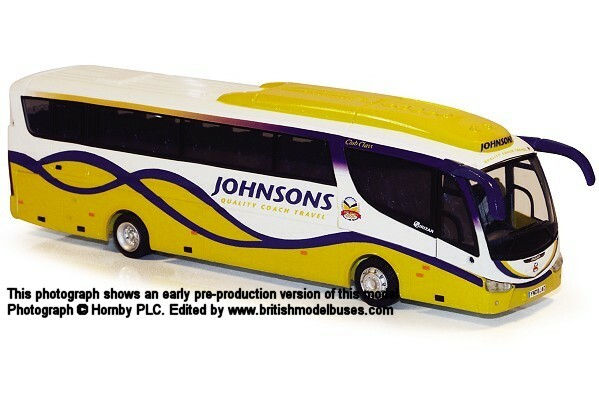 This is the actual coach represented by Corgi OOC model OM46206 but is in a different livery to that modelled. 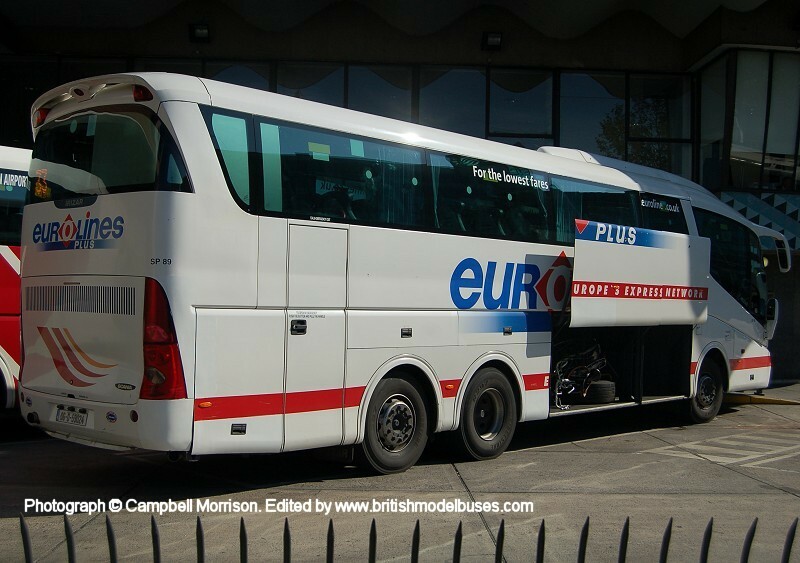 This photograph was also taken at Buchanan Bus Station, Glasgow and shows a clearer view of the nearside livery of the above. 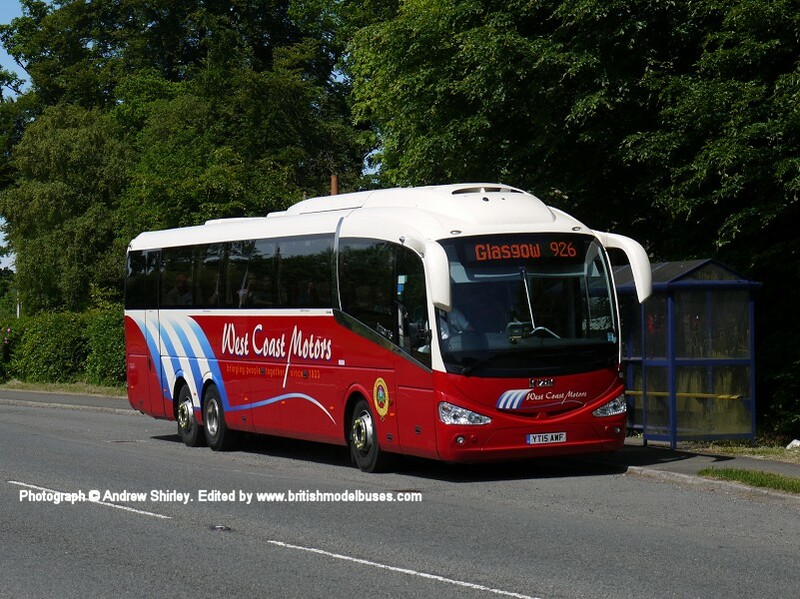 This photograph was taken in June 2016 as the coach headed down Loch Lomond en route to Glasgow on the 926. 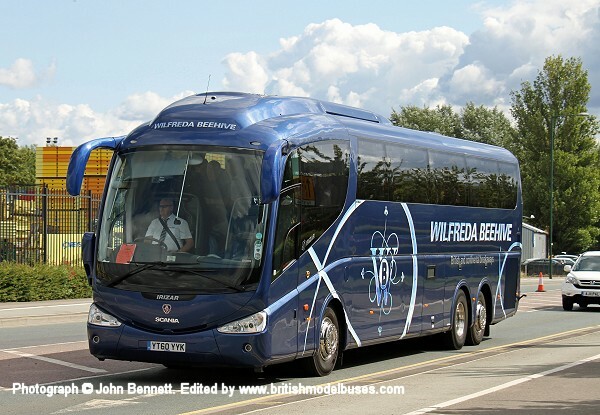 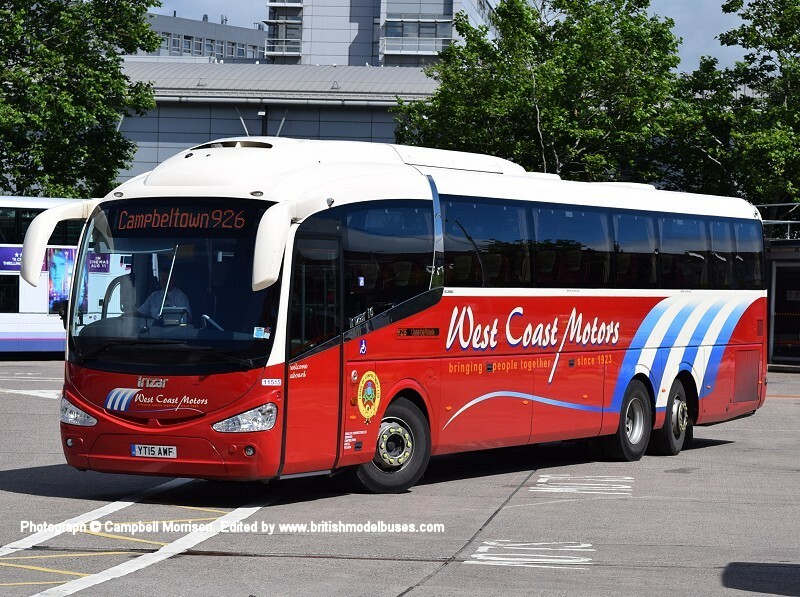 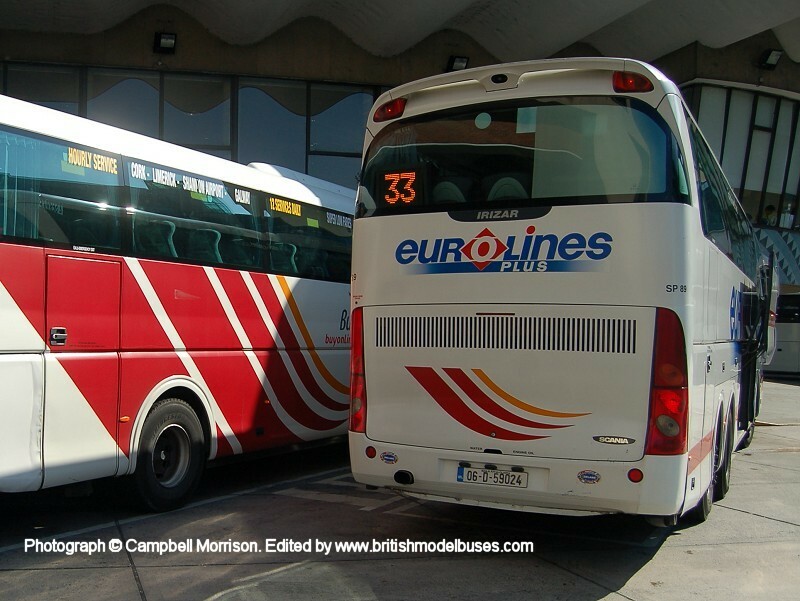 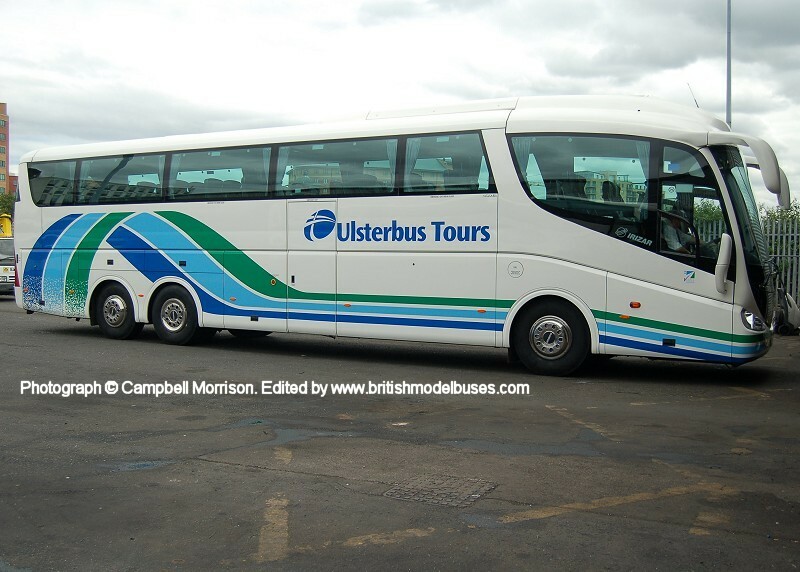 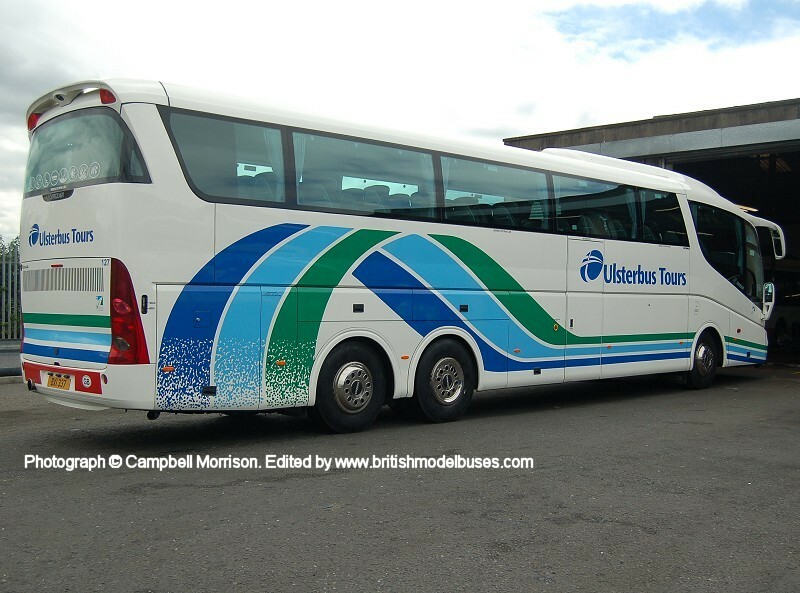 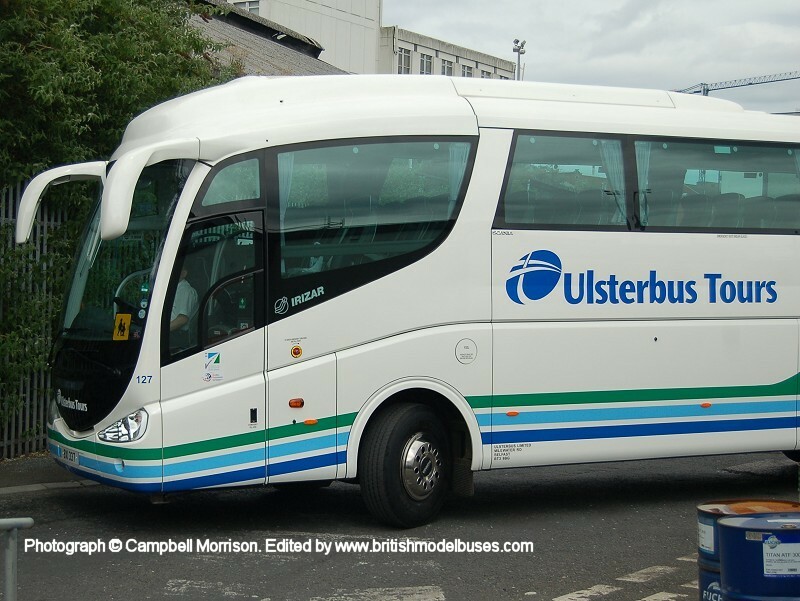 This photograph was taken on 24th June 2009 at the Dublin Coach terminal and shows fleet number SP89 (06-D-59024). 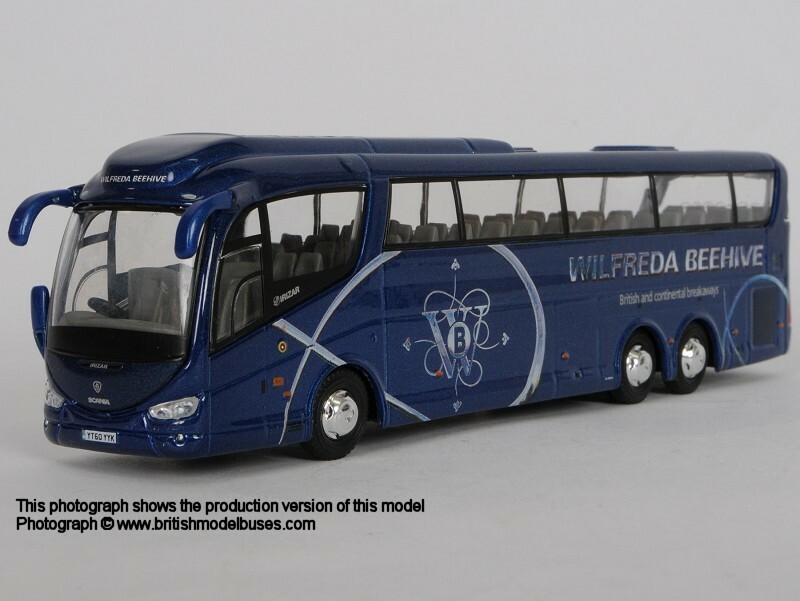 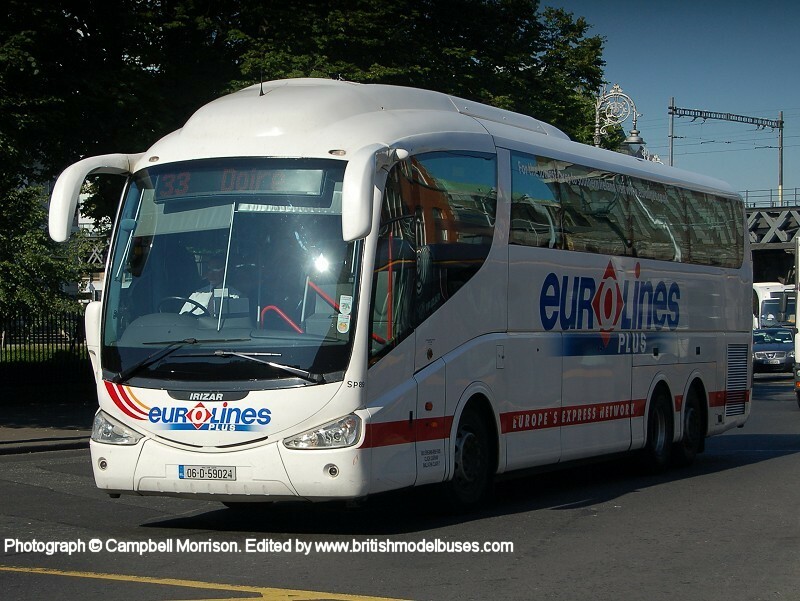 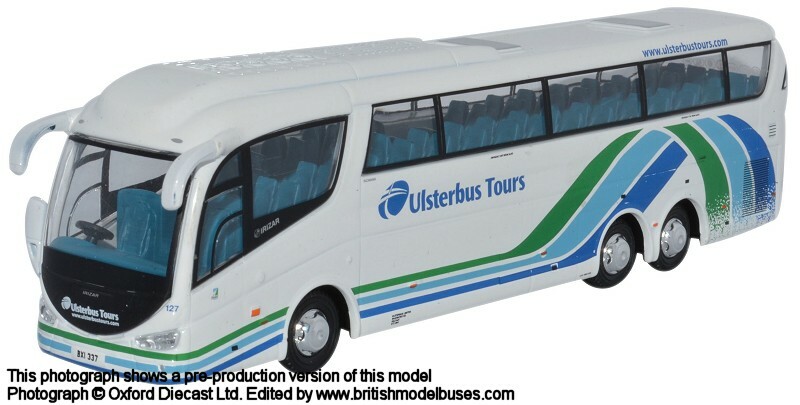 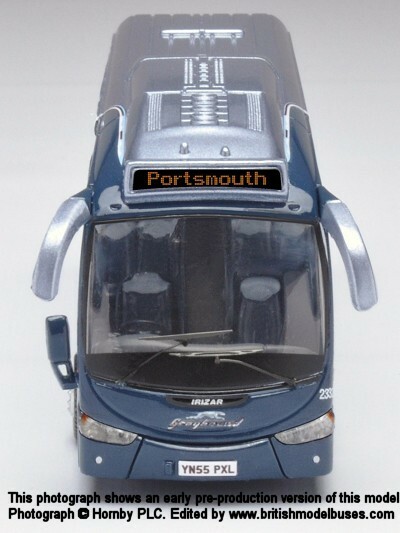 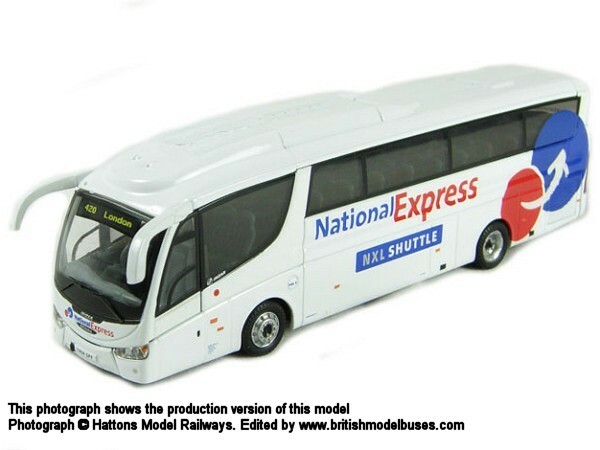 Although this is the actual bus represented by Oxford Diecast models 76IRZ001 and NIRZ001, in these photographs the vehicle is displaying "Eurolines Plus" livery, whereas the models are displaying the "Eurolines.com" livery. 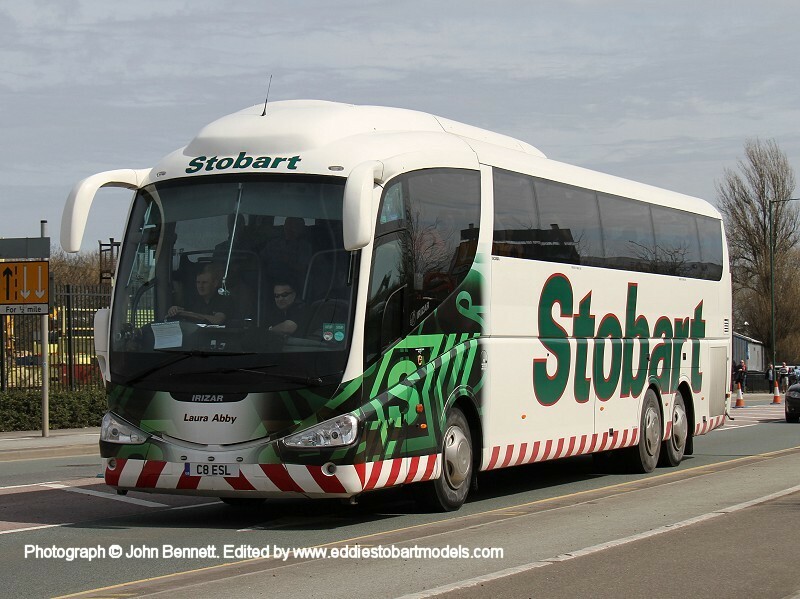 SCANIA IRIZAR PB TRI-AXLE COACH - EDDIE STOBART "Laura Abby"
This photograph was taken at Great Central Way, Wembley on Sunday 14th April 2013 and shows fleet number C1 (C8ESL) "Laura Abby". 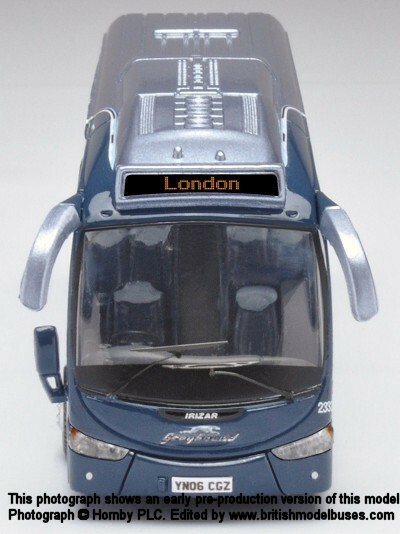 This is the actual vehicle represented by Atlas Editions model 4649114. 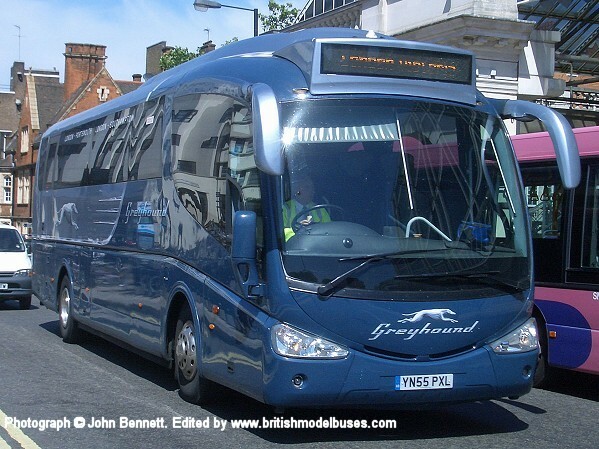 This photograph was taken on Saturday 23rd August 2014 in Great Central Way, Wembley and shows YT60YYK.. 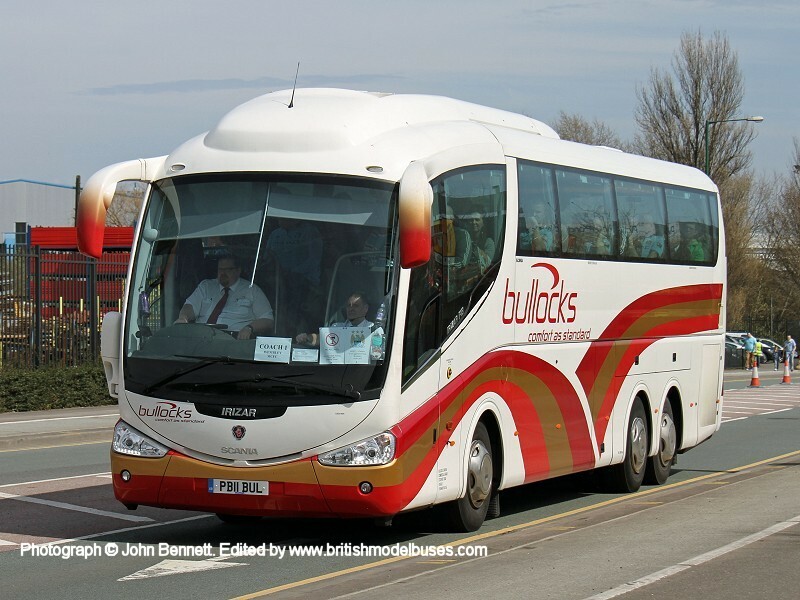 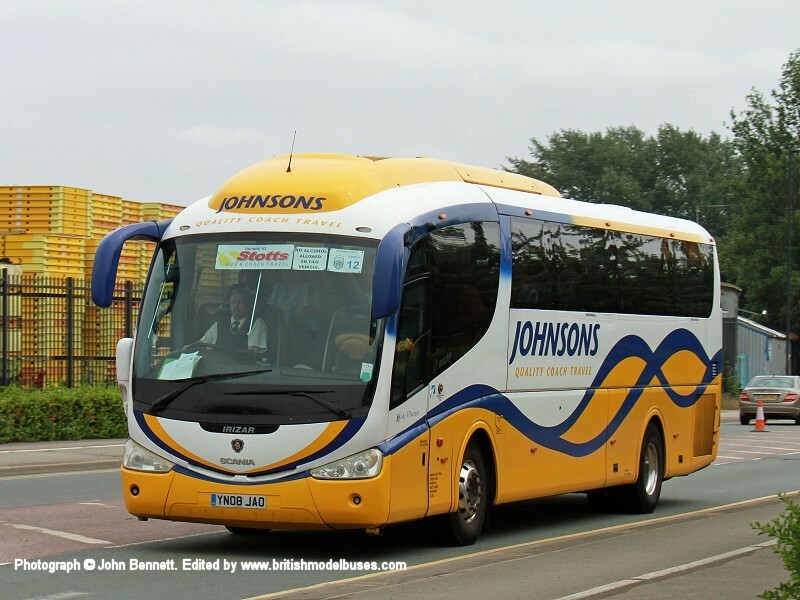 The coach was bringing fans to the stadium for the Rugby League Challenge Cup (Castleford Tigers v Leeds Rhinos). 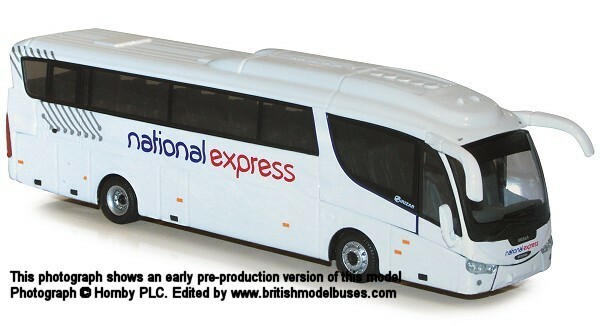 This is the actual vehicle represented by Oxford Diecast model 76IRZ002.